The 1985-86 Boston Celtics were the greatest incarnation of an already great NBA franchise. Led by Larry Bird, arguably the best athlete in American sports at the time, the Celtics "boasted one of the strongest, deepest frontcourts" ever assembled and a dauntingly talented backcourt, per NBA.com. Boston also had an outstanding sixth man in Bill Walton, who, along with Robert Parish, packed "the best one-two center punch in the history of the game," according to famed sportswriter Bob Ryan. Boston's roster brimmed with elite passers, prolific scorers, tenacious defenders, and world-class trash-talkers. The team had an extraordinary regular season, winning 67 games and going 40-1 at home. In the postseason the Celtics bested the Chicago Bulls in what some have called the greatest playoff game in NBA history. In the finals the Celtics overwhelmed the Houston Rockets, a team powered by "Twin Towers" Ralph Sampson and Hakeem Olajuwon and led by Boston's previous coach, Bill Fitch. In the process Boston acquired its 16th NBA title and the team solidified its place as one for the ages. Here's where the 1985-86 Celtics are now. Larry Bird hurled verbal daggers that were almost as sharp as his shooting. He once buried a three during a Christmas Day game against the Indiana Pacers, turned to their bench, and quipped, "Merry f*cking Christmas." He orally torched basketball icons like Reggie Miller and Dennis Rodman and enjoyed telling opponents how he planned to score because he knew they couldn't stop him regardless. One of the greatest marksmen ever to shoot a hoop, Bird more than lived up to his "Larry Legend" nickname with the 1985-86 Celtics. He earned his third straight league MVP award, was named finals MVP, and led the league in made three-pointers. In his 13 seasons in Boston the 6-foot-9 small forward was a 12-time All-Star and three-time NBA champion. He also logged a whopping 69 triple-doubles, a number no other Celtic has even approached. Bird didn't have an off switch, so he pushed himself until his back buckled. The Legend bid farewell to basketball after winning gold with the 1992 Olympic Dream Team. In 1997 Bird became the Pacers' head coach and received the Coach of the Year Award. After three straight appearances in the Eastern Conference Finals he walked away from coaching because of heart problems. In 2003 Bird rose like a phoenix, serving as the Pacers' team president and later winning an Executive of the Year Award. He stepped down in 2017. Kevin McHale played mind games almost as well as he played basketball. Larry Bird alleged that McHale once humiliated a former college teammate who played for Golden State by exploiting their friendship. Supposedly, the Celtics forward promised to let his old chum score but then knocked the shot attempt "six rows into the stands," enraging his probably-ex-friend. That hilarious craftiness came with a huge dose of grit. So tough was McHale that he played with a broken foot during the 1987 postseason. A superb scorer, McHale averaged nearly 25 points per game during the 1986 playoffs. Also an adept defender, he made the NBA All-Defensive First Team three times and was a seven-time All-Star. 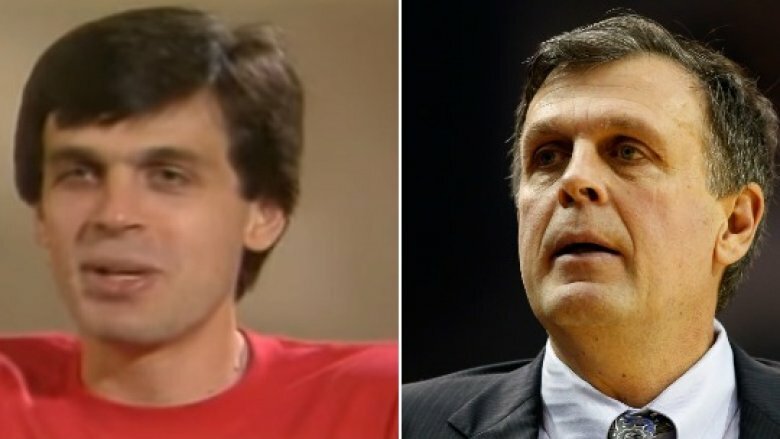 Injuries forced McHale to call it a career in 1993 after 13 seasons. An obvious commodity due to his knowledge and experience, he found a home with the Minnesota Timberwolves as their general manager. In 2011 he landed a head coaching job with the Houston Rockets, but his time in Houston was marred by hardship. In 2012 his daughter tragically passed away from lupus. A few years later things went awry professionally. Despite being "the ultimate player's coach" and guiding Houston to the 2015 Western Conference Finals, McHale was fired after a disappointing 4-7 start to the 2015-2016 season. 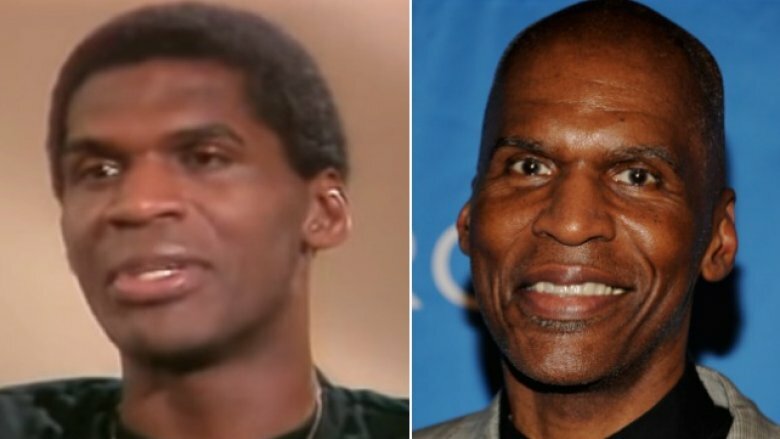 Affectionately referred to as "Chief," starting center Robert Parish formed the '85-86 Celtics' "Big Three" with Larry Bird and Kevin McHale. Not only was the 7-foot-1 Parish a big shot; he literally had a big shot. His trademark jumper "seemed to kiss the banners at Boston Garden," according to NBA.com. He spent 14 seasons as a Celtic but concluded his career as a Chicago Bull in 1997. He retired as a top-15 all-time scorer and a top-10 all-time shot-blocker and rebounder. Parish also set NBA records for the most games played (1,611) and most seasons played (21). After hanging up his jersey, Parish aspired to coach an NBA team, but much like his jumper, that was a long shot, as Parish did some extremely foul things off the court. During Parish's playing days rumors circulated that he abused his then-wife Nancy Saad, and according to Sports Illustrated, Saad alleged that he kicked her down the stairs while she was pregnant. Parish later admitted to shoving his former spouse across a hallway, but disturbingly he blamed her for it, asserting, "her intent was to provoke me to do something physically and it succeeded." Understandably, NBA teams didn't consider Parish coaching material, so he became a consultant for the Celtics. But don't worry, he still got into the Hall of Fame in 2003. 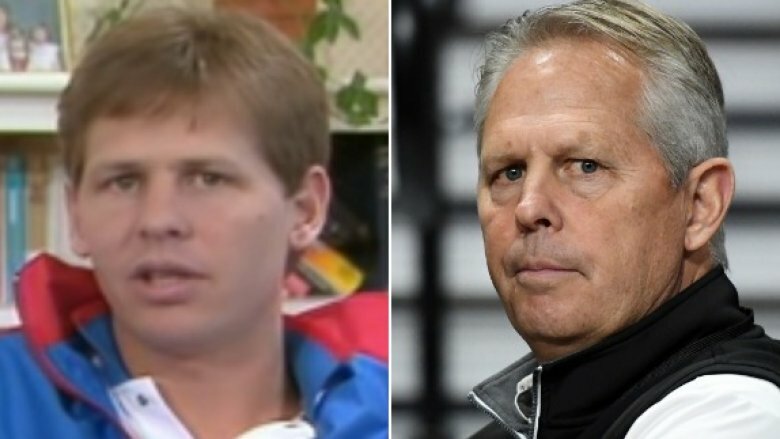 Danny Ainge was the NBA equivalent of a mosquito, not because he sucked (which he absolutely didn't), but because he made opponents want to crush him. 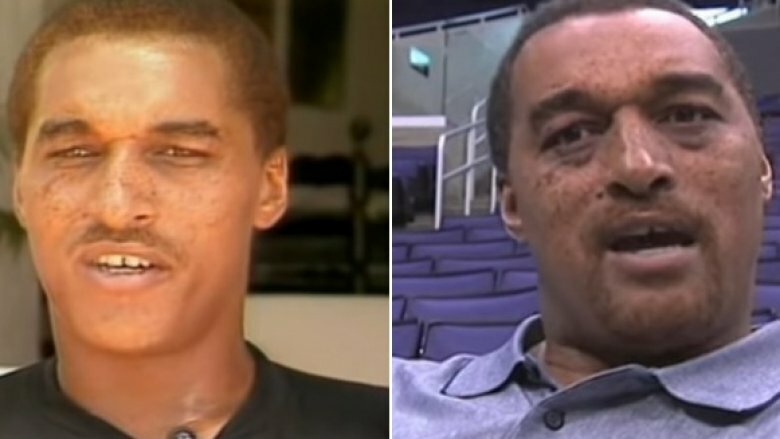 In 1983 Wayne "Tree" Rollins of the Atlanta Hawks actually bit Ainge's middle finger, inspiring the famous headline "Tree Bites Man." him. During his 14-year basketball career he nearly came to blows with Michael Jordan, and launched a ball at Mario Elie's face. Ainge even seemed to annoy himself and admitted to being "a whiner." Ainge wasn't just an annoyance, though. As Boston's starting shooting guard, he provided "harassing defense" that helped the Celtics win it all in 1984 and '86. He was also dangerous from beyond the arc and would retire as one of only three players in NBA history (at the time) to sink 1,000 or more three-pointers. Before hanging up his basketball shoes in the mid-1990s he played for multiple teams, including the Phoenix Suns and the Portland Trail Blazers, and made six NBA Finals appearances. Ainge went on to become a TNT analyst and then served as head coach of the Phoenix Suns. He returned to Boston in 2003, assuming the role of Celtics president. Under his leadership the franchise acquired its 17th NBA championship. As the eighth of 16 children Dennis Johnson probably knew a thing or two about having to vie for attention. Unfortunately, he didn't exactly stand out as NBA potential in his younger days. As the NBA website detailed, Johnson learned the basics of basketball from his father, a bricklayer who apparently also shot bricks. Though a fierce defender, Johnson lacked height and playing time in high school. Luckily, a junior college coach noticed him playing street ball, and a growth spurt helped him blossom into a copious scorer. Three years after getting drafted Johnson led the Seattle SuperSonics to their only NBA title and was named the finals MVP. Once he took his talents to Boston in 1983, he went from being a dominant two-way player to serving primarily as a defensive weapon and floor general. His smothering defense proved pivotal in containing Magic Johnson. One of the lesser-sung heroes of NBA lore, Johnson earned enormous respect from the legends of his era. Larry Bird remembered him as "one of the best teammates [he] ever had," and Magic Johnson called him "the best backcourt defender of all time." Sadly, Dennis Johnson didn't have long to bask in such praise. After an unsuccessful tenure as an NBA coach, Johnson landed a job coaching the developmental team the Austin Toros. Just when things were looking up he died of a sudden heart attack at the age of 52. 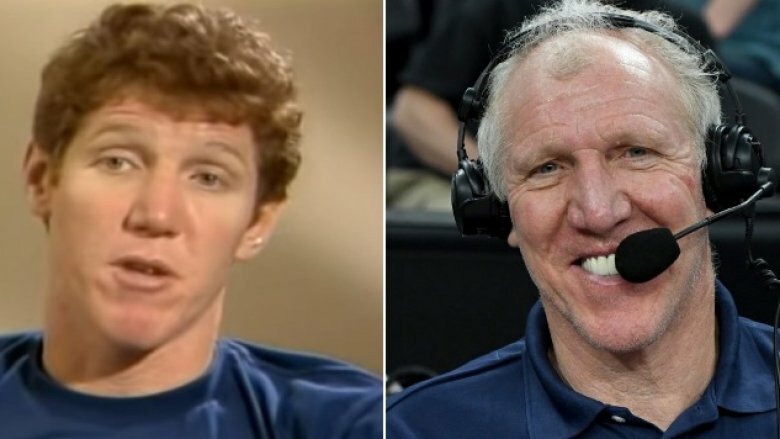 Bill Walton's career had more ups and downs than an antigravity roller coaster. In 1977-78 he dominated his way to an NBA title and a league MVP with the Portland Trail Blazers. The years that followed were dominated by injuries, including "a chronically broken bone in his left foot." He basically hobbled his way to the Hall of Fame, playing only 44 percent of all regular season games during his 13-year career. Yet despite seeming to have more broken bones than points to his name, Walton inspired enough confidence in the Celtics that they signed him in 1985. Walton rewarded Boston's faith by playing in 80 games and winning the Sixth Man award. A true team player, he put his already battered body on the line in Game 5 of the 1986 NBA Finals. As UPI described, Houston Rocket Ralph Sampson started throwing fists at Boston's players, so Walton stood up for his teammates and tackled the 7-foot-4 Sampson, inciting a huge melee. Walton played just 10 games in the 1986-87 season before he decided to bow out from basketball. In 1990 he started a decades-long broadcasting career during which he worked for CBS, NBC, ESPN, and a bajillion other networks as a sports analyst. He's also a huge Grateful Dead fan, starred in a reality show called Bill Walton's Long Strange Trip, and became known for making strange and trippy comments, or "Waltonisms," during broadcasts. 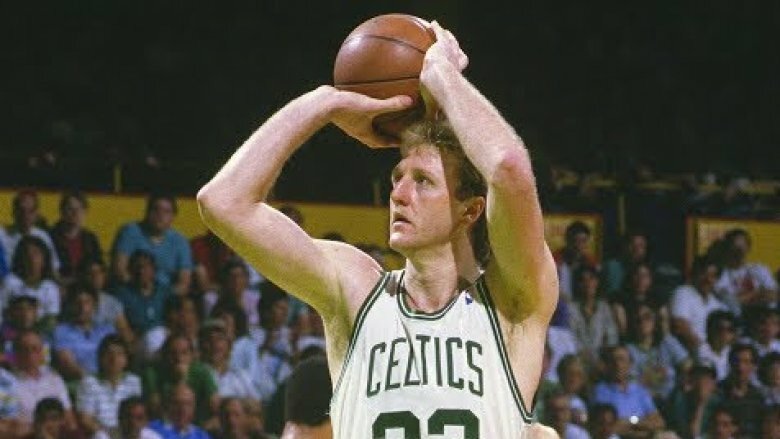 There's a reason Scott Wedman's fellow Celtics dubbed him "Shotty Wedman": The man could shoot threes like they were fish in a barrel. During the 1984-85 season he drilled 11 consecutive threes in a game, setting an NBA record. During Game 1 of the '85 Finals he set another record, this time hitting all 11 of his shot attempts (including four three-pointers) in a lopsided victory over the Lakers known as the "Memorial Day Massacre." 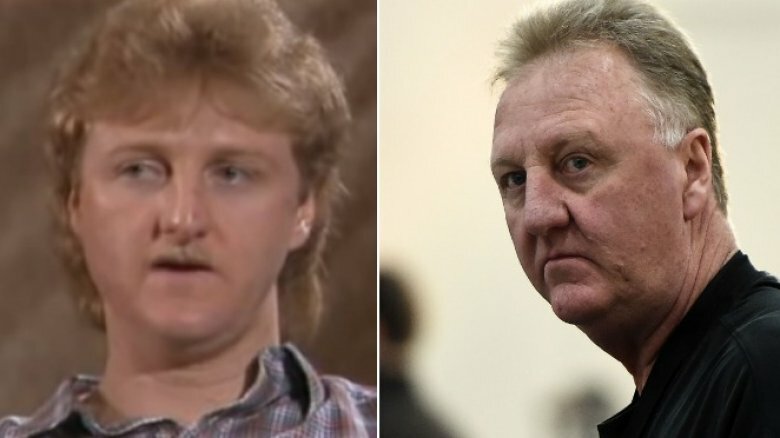 Given his abilities, it's no wonder that Wedman often subbed for Larry Bird, and he often acted as Bird's wingman. In 2007 he told the Denver Post that he thought the Celtics hired him in part "to push Bird in practice." His support extended beyond the court, and Wedman even competed alongside Bird in a 10K race to help him prepare for a marathon. During his four years with the Celtics he would enjoy two championship runs with Bird before retiring from the NBA in 1987. Unlike the much more vocal Bird, Wedman preferred to walk the walk without talking the trash talk, and that modesty continued in retirement. He considered coaching but initially decided to "stay at home" to work on his real estate business. However, in 2007 he scratched his basketball itch by becoming the head coach of the Continental Basketball Association's Great Falls Explorers. Greg Kite rarely got a chance to shine as a Celtic, and how could he when five of his teammates, including fellow bench player Bill Walton, were future NBA Hall of Famers? A clock wouldn't have given him the time of day when faced with those options. Kite had a shot at minor glory with the 1985-86 Boston Celtics but unfortunately shot himself in the foot. As Walton recounted, during a showdown with the Milwaukee Bucks, Boston's bench got to play as starters. Even the Celtics' B-team was better than the Bucks' A-game, but Kite got ejected when he lost his cool with a ref and pegged him in the head with a basketball. 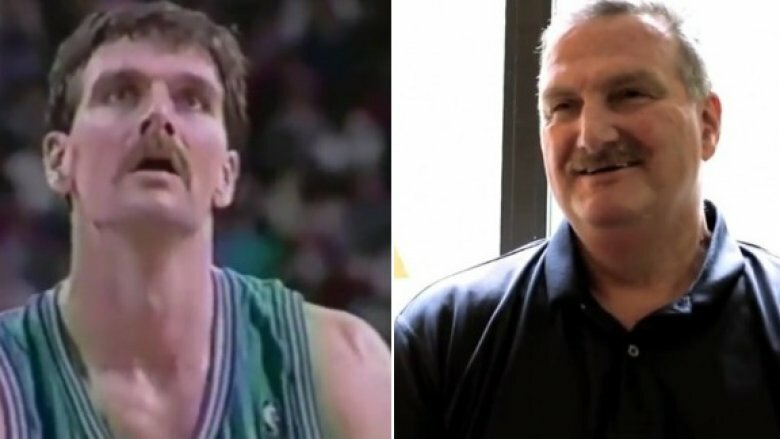 Kite's brightest moment in Boston occurred in the 1987 NBA Finals when the 6-foot-11 center snagged nine rebounds against the Celtics' renowned rivals, the LA Lakers. The next season, he was traded to the LA Clippers. At the time, he welcomed the move as a chance to get more playing time. Looking back in 2018, however, Kite wished he had spent his whole NBA career as a Celtic. Things turned out all right for Kite, though. After 12 seasons in the NBA he co-founded a private school with his wife. The couple also adopted a whopping 10 children, enough to form two full starting NBA lineups. 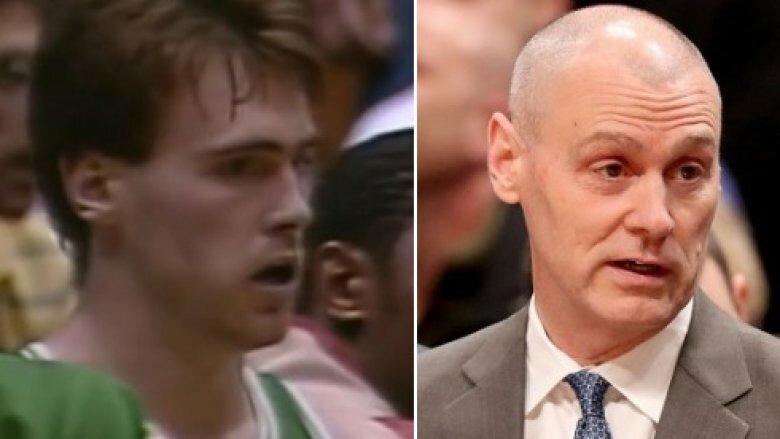 Rick Carlisle spent most of his time as a Celtic competing in the least exciting rodeo in all of sports: bench-riding. Like his teammate Greg Kite, Carlisle only started in one game during the '85-'86 season. Unlike Kite, he didn't bean anybody in the noggin with a basketball. Carlisle saved that until he was coach of the Dallas Mavericks, during which time he angrily kicked a ball into the stands, hitting a kid in the head. Obviously, Carlisle didn't mean to walk in Kite's footsteps, but there was one Celtics figure he emulated (in a good way) in Dallas: Red Auerbach, Boston's executive extraordinaire. As Carlisle explained, "Red had a great way of making the profound so simple. … I often think back on some of the things he said to me along the way." Evidently, some of Red's tips worked because Carlisle was named Coach of the Year during the 2001-02 season and led Dallas to an NBA title in 2011. Before that he had success coaching the Detroit Pistons and Indiana Pacers and led both teams to division championships. His post-Celtics life hasn't been all coaching, though. Carlisle is also a self-taught pianist, and when he isn't dispensing wisdom to the Mavericks, he's piloting airplanes for kicks. Before becoming the head coach of Boston's fabled roster, K.C. Jones amassed enough championship bling to stock a jewelry store. He won back-to-back NCAA championships and earned a gold medal at the 1956 Olympics. After an incredibly short-lived stint in the NFL he joined the Celtics in 1958 and went on to win eight straight NBA titles with the franchise. His remarkable string of successes prompted a sportswriter to jest that the "C" in "K.C." might stand for "championships." (Actually, Jones' whole first name was K.C.) 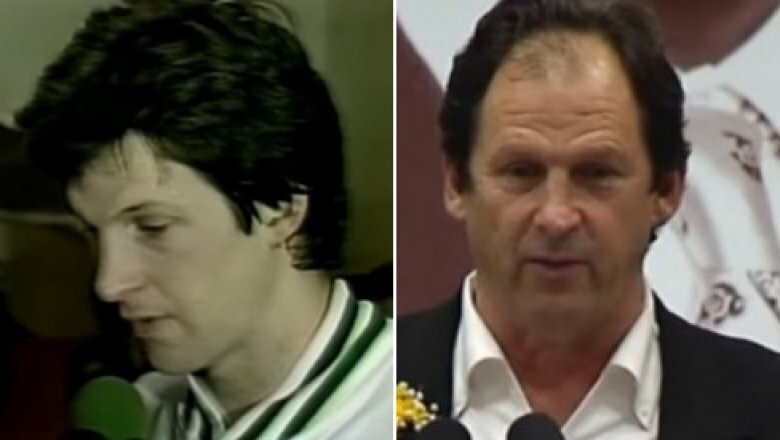 Jones took the reins as Celtics head coach in 1983 and led the team to four consecutive finals appearances, two of which yielded championships. As of this writing, K.C. Jones is one of 13 men in NBA history who have won championships as a player and a coach. In addition to all the other accolades we've mentioned, Jones holds the distinction of never having a losing record during his coaching career, which is even more impressive when you consider that he coached three different teams: the Celtics, the SuperSonics, and the Washington Bullets. After a Hall of Fame career that could probably make other Hall of Famers turn Celtics-green with envy, Jones became a special assistant at the University of Hartford, where he does color analysis for men's basketball games and aids the university's fundraising and community initiatives. 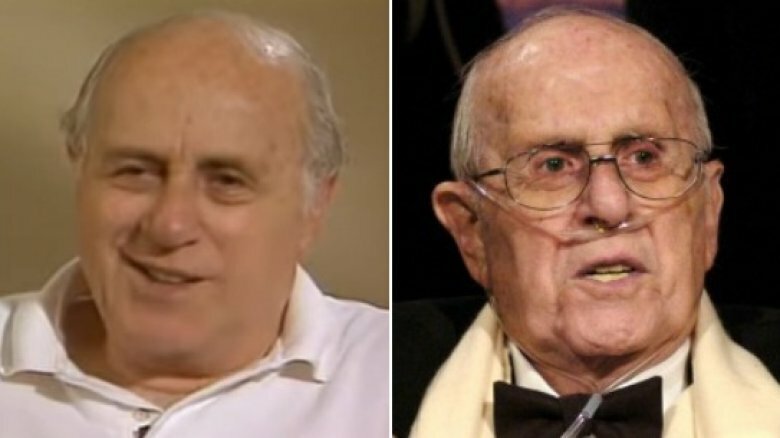 It would take epic levels of hyperbole to exaggerate Red Auerbach's influence on the Boston Celtics and basketball in general. Declared "the greatest coach in NBA history" by the Professional Basketball Writers Association of America in 1980, Auerbach masterminded three distinct periods of Celtics dominance. Auerbach racked up 938 victories and guided Boston to eight consecutive NBA titles (he won nine championships overall) before joining the front office. As Celtics president he helped add two more titles to the collection in the '70s and was the architect behind the 1985-86 Celtics' seemingly unconquerable roster. Along the way Auerbach changed the face of professional basketball. In 1950 he drafted the NBA's first black player, per Boston.com. 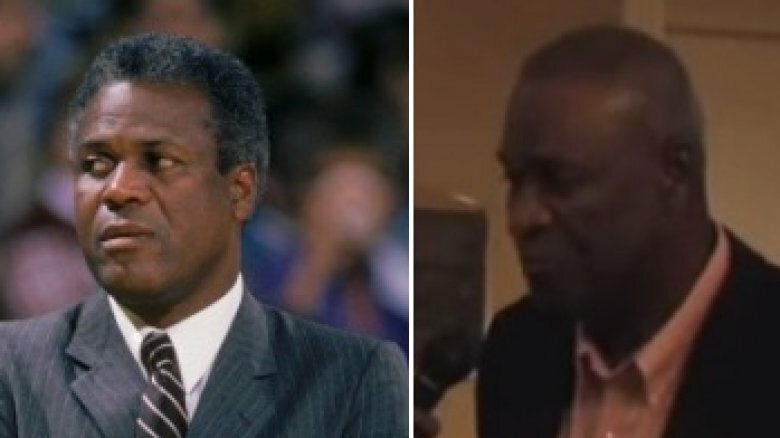 Later he hired the league's first black head coach (the iconic Bill Russell) and assembled the first starting lineup to have five black players. In addition to catalyzing social change, Auerbach indirectly impacted future teams. Of the 13 people who have won NBA titles as players and coaches, four of them, including K.C. Jones, were coached by Auerbach and a fifth (Rick Carlisle) used Auerbach as his template for coaching success. The Celtics' fortunes faltered as NBA greats aged and retired, but Auerbach remained a steady presence in the organization. As he grew older he played an increasingly limited role. In 2006 Auerbach passed away from a heart attack.